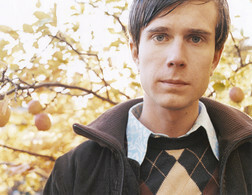 Timo Räisänen is a Swedish Indie pop musician, born in Gothenburg on July 25, 1979. He was previously part of Håkan Hellström's band, and has played in Her Majesty and many other, smaller bands. In 2004 he started his own career. Räisänen received the P3 Guld award, where he was named best live artist of 2007. Räisänen frequently features covers on the B-side of his singles. In 2008 he released a cover album titled '...And Then There Was Timo' consisting of b-sides and a handful of newly recorded covers. In 2009, he Sang along with In Flames, their song "Alias" live. He also made his own acoustic cover version of In Flames's The Mirror's Truth. Räisänen's mother was born in India, had an anglo-Indian mother and a Swedish father. His father is Finnish but was brought up in Brazil. When his parents met, they moved to Sweden. The title of his 2006 album 'I'm Indian' refers to his mothers family.